The two key Congressional races in Central New York were very tight – as polls suggested all along. In the Utica area, Claudia Tenney is clinging to hope that absentee ballots will fill the gap between her and Democrat Anthony Brindisi. Syracuse University Political Science Professor Grant Reeher tells WAER how he believes the new Democratic majority in the House of Representatives will affect Central New York. Maxwell School Political Science Professor Grant Reeher feels that Tenney became vulnerable due to her close Washington ties. "In the 22nd district, the national factors were putting more wind at the back of Tenney. But the local factors worked more against her," Reeher said. "If she wins, it's fair to say she'll still be a sharp-edged member of Congress in terms of her rhetoric and style. She often has said she was Trump before Trump, part of that is the way she expresses herself, the things she has to say about opponents, and points of view that differ from her own." That race has yet to be decided with more than 10,000 absentee ballots yet to be counted. In Syracuse, John Katko was able to declare himself the winner of the 24th Congressional District race. Reeher says – in this case - the national forces of political issues favored Democratic challenger Dana Balter - instead of incumbent John Katko. "She has a very high turnout primary, in which she obliterated the national party's chosen candiate Juanita Perez Williams. All of that would suggest she would have some momentum. And she did," Reeher said. "On the other hand, the local factors helped the incumbent. [Katko's] been very careful about trying to build a resume that he can point to that shows he's a more moderate republican, that on some issues, he has departed from the president and stood up to the Republican party." Reeher says Katko earned supporty by being more moderate about how he discusses the issues, and the way he talks about others. He says it also assisted him to stem the democratic tide so it didn’t ‘wash over’ his district like it apparently did in the 22nd. DEMOCRATIC MAJORITY = MORE POLARIZATION? 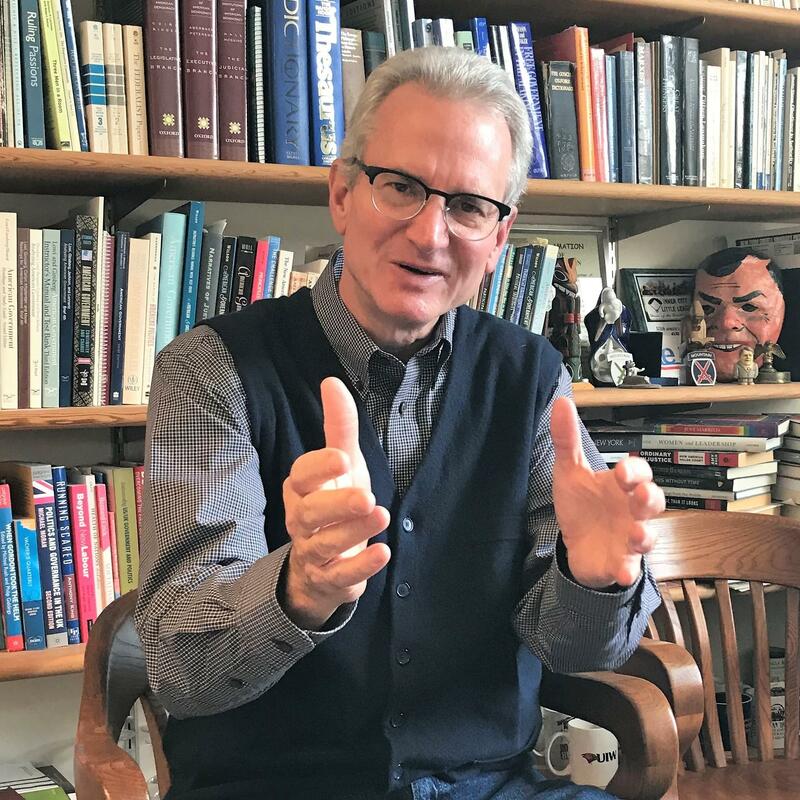 Professor Reeher says the new democratic majority in the house is likely to set the stage for polarization, not less, despite the well-intentioned efforts of the area’s congressman. Maxwell school professor Grant Reeher says like most mid-terms, this election was largely a referendum on the President, and the results are not unlike that of any president’s first term. But the implications could be far deeper. "There's already talk about what the democrats are going to do in terms of investigations into the president. That could heighten that conflict even further. If the president reacts in ways similar to how he has in the past, again, that will . The country itself, in terms of voting patterns, seems to be more polarized than before. If you didn't like the rancor we've had over the past two years, just wait. It could be getting a lot worse." At the same time, Reeher sees common ground on some lingering issues that could have a big impact in Central New York. For example, there could be negotiations toward lower prescription drug prices under Medicare, just like there are for Medicaid. He says any deal could trickle down to the private insurance market. There could also be progress on a big infrastructure bill, something that eluded the previous congress. Reeher says, meanwhile, newly re-elected Congressmember John Katko might have some success getting bi-partisan support in the continued battle against the opioid epidemic. "Given the magnitude of the problem, if there is some atmosphere for common ground looking for deals and reaching agreements, that might be something he could be involved in and bring important things to this area." Reeher says the dynamic changes for Katko since he’ll find himself in the minority for the first time. "You could argue that when he was in the majority, he had a choice, and chose to be more bipartisan, and that is to his credit. Now he doesn't have a choice. He's going to have to be bipartisan. He's going to have to push things in which the democrats are going to get a lot of the credit for, and that's just the way the system works." Reeher says Katko’s voting record in general is a mixed bag, and both sides of the aisle can point to examples they like or dislike. Overall, he feels Katko comes across as the moderate he paints himself to be, though he did make a very republican move by supporting the tax overhaul. Reeher says that was probably one of the things on the minds of most voters, and may have fueled support for his opponent.